This book explores the goals, efforts and outcomes of international assistance to higher education over the past three decades and investigates how these have impacted changing State-university relations. 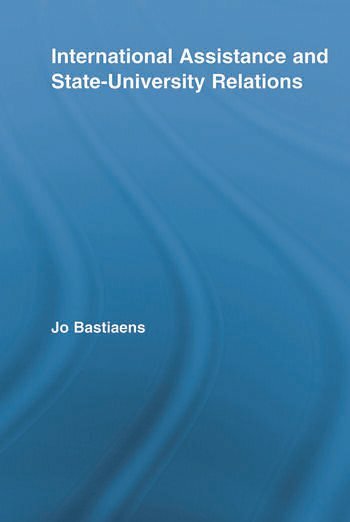 Focusing on the case study of Indonesia, Bastiaens demonstrates how international aid facilitated and at times actively encouraged changing patterns of state-university relations from state control towards greater institutional autonomy. Through the use of various case studies from throughout the country and critical analysis of the relationships between international donors and domestic reformers, Bastiaens shows how the educational system of Indonesia was able to diversify resources, generate income, and become increasingly autonomous from government. 1. Introduction 2. International Assistance Goals 3. International Donor Efforts 4. Outcomes 5. Assistance and Autonomy: Possibility or Contradiction? Annexes.